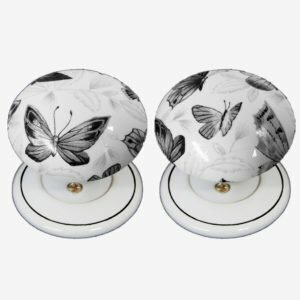 These door knobs are made out of the finest hardwearing quality ceramic / porcelain, a beautiful parisian design featuring a mix of black and grey floral swirls. 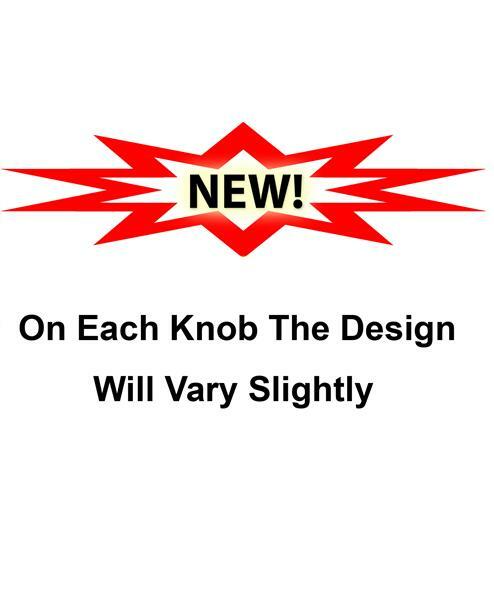 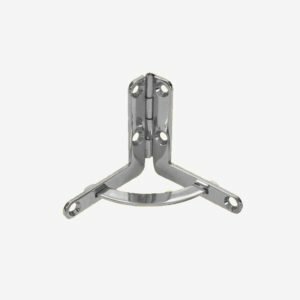 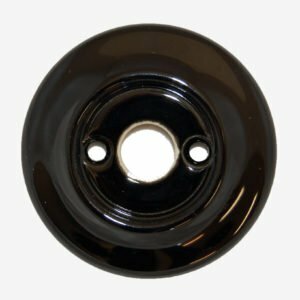 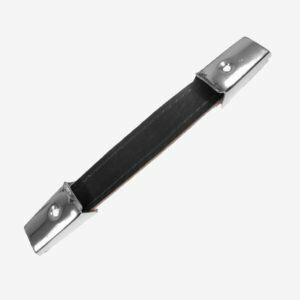 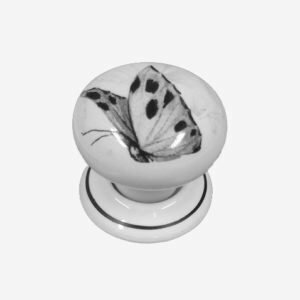 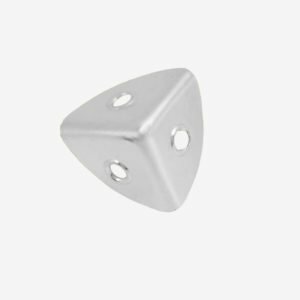 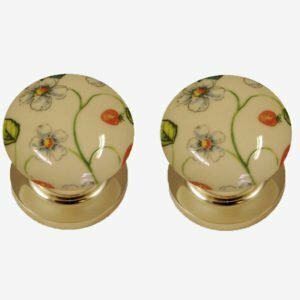 These knobs can be supplied with a traditional white porcelain rose handcrafted with a black rim or for a more classic look we have our Polished Chrome or Satin Chrome metal rose, can also also be supplied with a plain black porcelain rose. 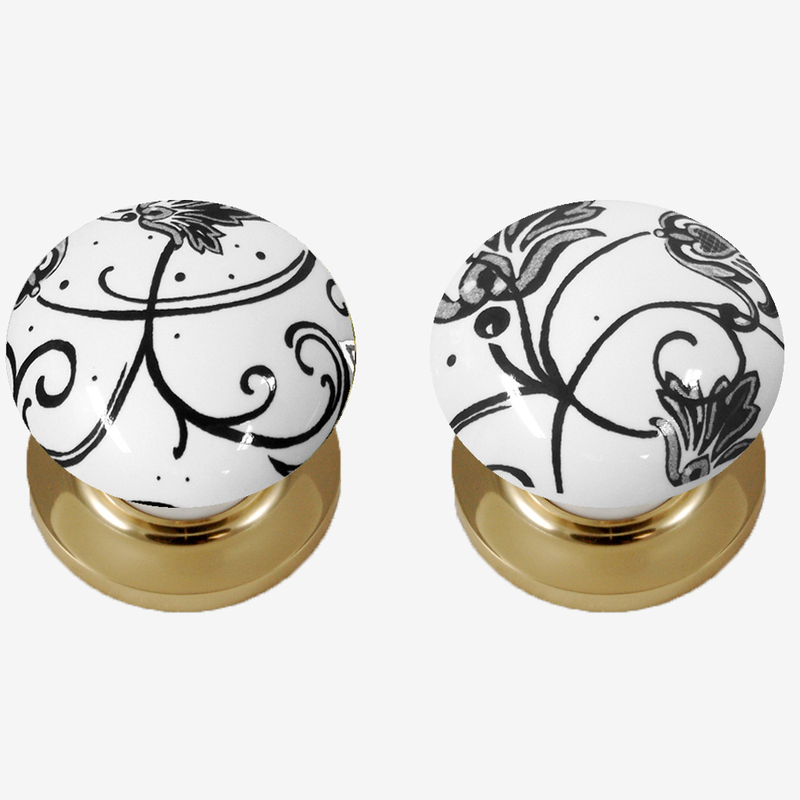 Also available in a blue or pink parisian design, contact for details.